Product description: Mills & Boon Super Value Pack -1 (Jul 2017) is written by Various and published by Mills & boon. 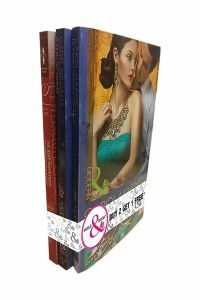 Buy Mills & Boon Super Value Pack -1 (Jul 2017) by Various from markmybook.com. An online bokstore for all kind of fiction, non fiction books and novels of English, Hindi & other Indian Languages. The Baby Inheritance by Maureen ChildIs a family in the future for this wealthy bachelor? From USA TODAY bestselling author Maureen Child! Divorce attorney to the stars Reed Hudson knows there`s no such thing as happily-ever-after. But the red-headed stunner who walks into his office with an infant in her arms will put him to the test. Lilah Strong just brought a baby girl to a man who splits up families for a living. Now he wants Lilah to stay on as temporary nanny to his niece. Reed Hudson`s plush hotel suite is a world away from Lilah`s rustic mountain home. Will their undeniable attraction end in heartbreakor forever?